This pattern was created out of my love for camping. During my childhood my parents and close family members would all go to a National Forest Campground in California. Every year we counted down the days till we could leave. Prior to leaving my parents would get out all the camping equipment and organize the bedding, the tent, the items for cooking in our makeshift kitchen once we arrived. It was a wonderful adventure, and my parents created a feeling of excitement in all of the preparations. We arranged our belongings carefully in the car, till there was barely room to sit in the car! The memories are wonderful! I was allowed to bring whatever I wanted as long as it fit in an oversized tote bag. 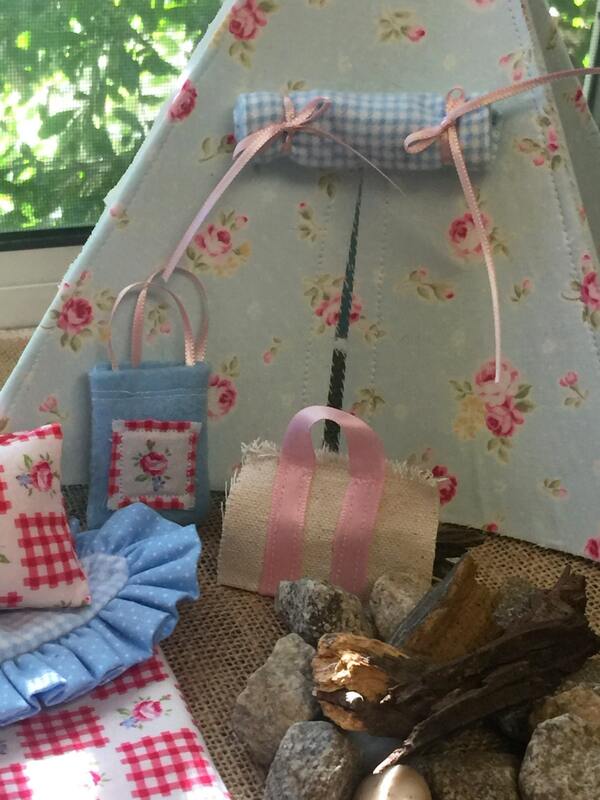 I brought dolls and their little camping supplies. 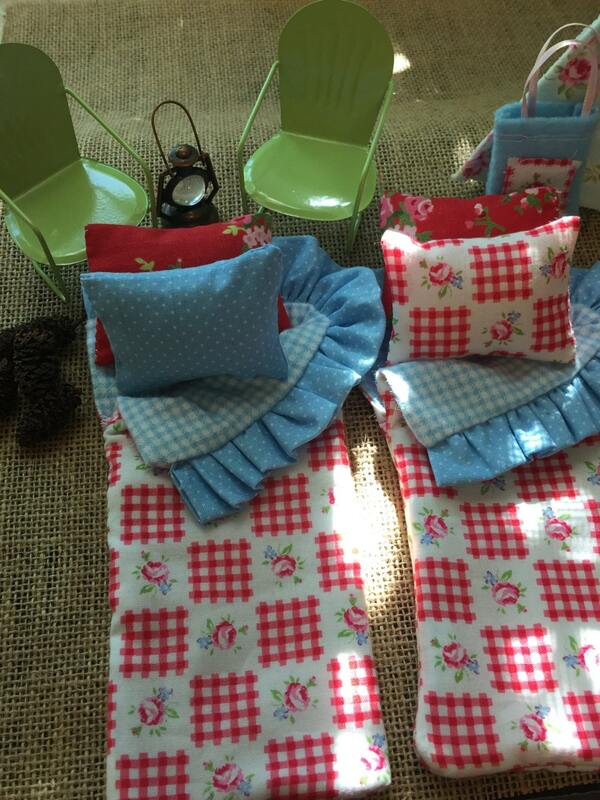 I asked my mom to make fabric sleeping bags, blankets, pillows, little towels, and took fabric to make a small tent, and so many little things it would be hard to list them all. But I fit them in my tote bags. 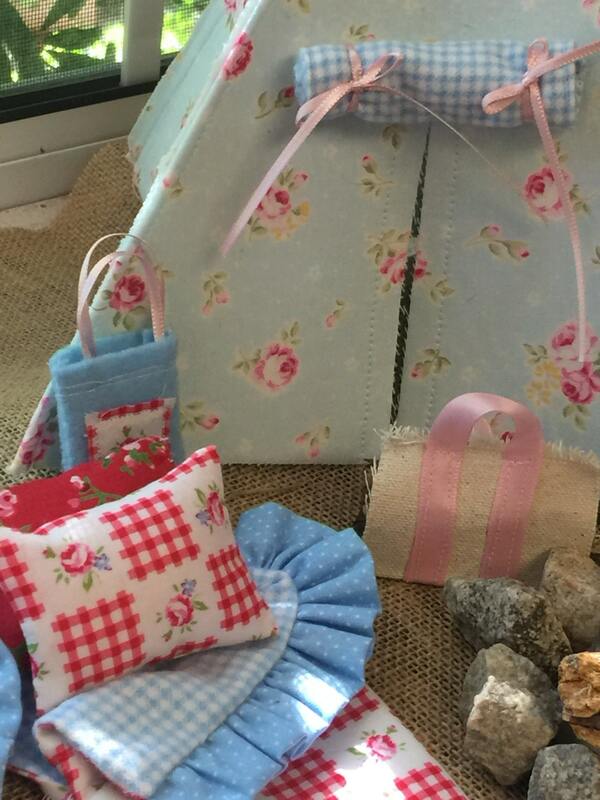 This pattern shows very simple directions to make the items shown, And the tent! It is the easiest thing ever to make! ruffled and lined sleeping bag, no zipper needed. A matching pillow. 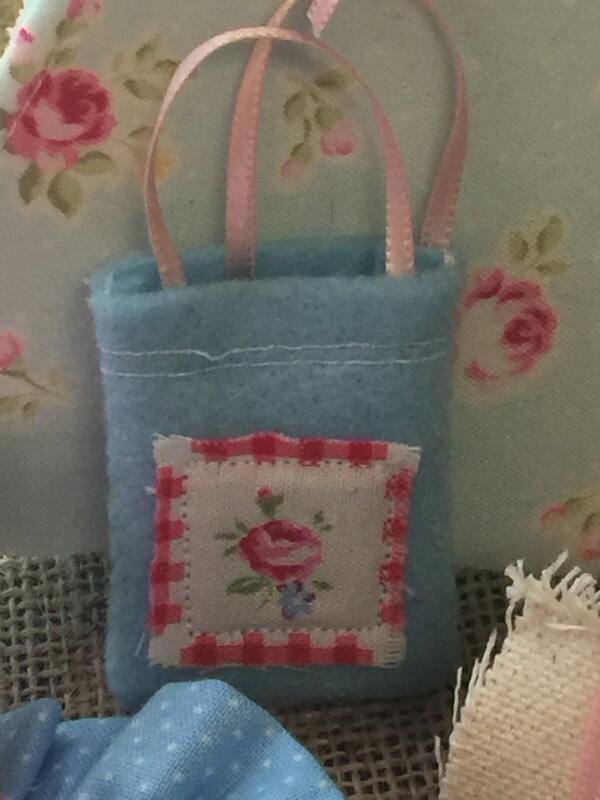 A small tote bag that can fit dollhouse toiletries, or towels, or items that would be perfect for camping. A canvas tote made for carrying firewood. 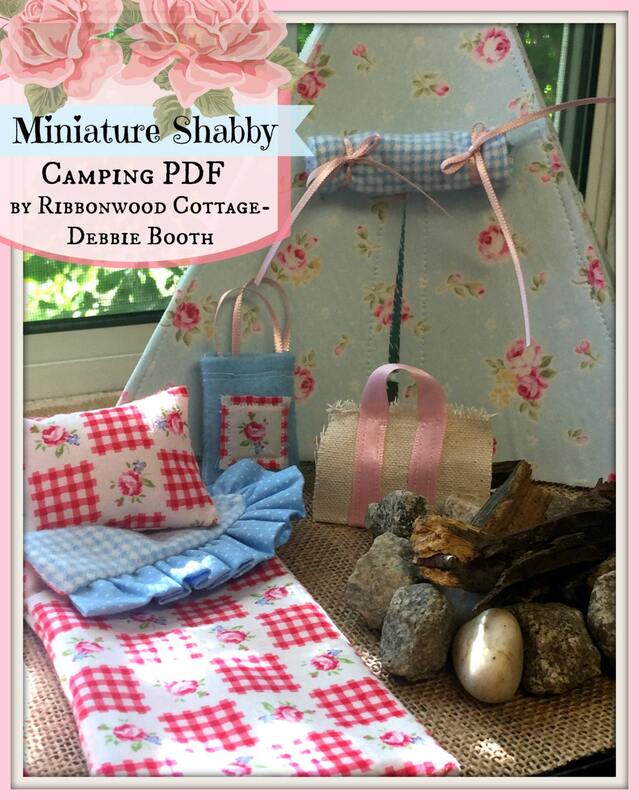 **Also included are ideas and suggestions for creating a small campsite with everyday items for a wonderful playtime when camping or at home. Sign up for my VIP Club by making sure I get your email, where you will receive free seasonal patterns, notifications of Flash sales and coupon codes just for being my customer! ****You are not receiving anything physical in the mail. This is a downloadable file pattern that you will receive upon purchase of this pattern. Adorable! Can't wait to get it all done....so fun! Great pattern!